To attend New York University. She’s dreamt of being a lawyer most of her life, and she worked hard to get into NYU. What she hadn’t planned was falling in love with Liam before she left. Knowing she was about to go across the country and leave her boyfriend behind hurt more than she thought it would. He always knew someday he and Lila would be together. Only now that she was finally his, she was leaving for NYU. Evan was a country boy with a big heart, but when his high school girlfriend crushed him, he needed a change. So he packed up and moved to New York City. The last thing on his mind was a relationship, and he was very much enjoying the single life…that was until Lila. To complicate things even more, tragedy strikes leaving Lila feeling broken and alone. Who will she turn to? Can she ever find her way back to the man who captured her heart and soul? Or will she settle for the next best thing? Lila Carls-Ellis has an amazing husband, beautiful twin daughters, and a dream job. But in the back of her mind lingers a dangerous desire—Evan Martin, and she can’t help but wonder what might have been. Back in New York for a friend’s wedding, Lila runs into Evan, and the sight of him with another woman affects her in ways she never anticipated. A friendly visit turns into dinner, drinks, and a night of passion she has yearned for since leaving him four years ago. Liam Ellis knows his wife has a secret, but he wants her to confide it when she is ready. He’s devoted to her and their children and can’t imagine a scenario where he wouldn’t fight to protect the life they’ve built together. What could Lila have possibly done that would be devastating enough to threaten their future and the love they share? Lila knows she needs to confess her transgression to Liam, but can’t find the courage, terrified of losing everything. Is it possible for them to work through her lies, or is her perfect life gone forever? The only way out is through, and Lila has to admit the truth and face the consequences of that fateful, reckless night. She fled home at eighteen, burdened with the memories of abuse and betrayal, along with a terrible secret. Now, upon learning her five-year marriage was built on a lie, she decides San Diego is the perfect place to build her new life. 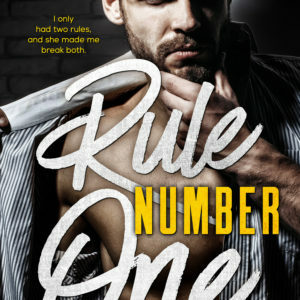 Ashton’s ex-wife is a money-grubbing whore, and he’ll do whatever it takes to keep her away from AJ, as well as from his hard-earned business interests. He doesn’t have the time or desire for any sort of relationship. Ansley stopped celebrating her birthday long ago, but visits a bar called Storms to find a way to forget. She decides a certain gorgeous man with dimples and tattoos would do quite nicely, but he has other ideas. Two months later when Ansley arrives to meet parents of her second grade class, one single father has familiar dimples and tattoos, and he hasn’t forgotten their encounter. The attraction between them grows, but as he pushes for more, she pulls away, terrified her past will resurface and destroy her life once more. However, he thinks Audrey doesn’t feel the same way. So Zander tries to push all thoughts of her out of his head—with a series of other girls. But this strategy doesn’t seem to work, so he decides to escape to New York University. Even with almost a thousand miles between them, a year of working hard and playing hard—with all the wrong girls—isn’t enough to keep Audrey out of his mind. But he’s never treated her as anything but a friend, so she foolishly settles for someone else. When her relationship ends badly, she decides to attend New York University, and is thrilled when Zander ends up as her roommate. She hopes things have changed between them, but after one memorable night she finds herself right back in friendship territory. Zander is ready to reveal his feelings, and Audrey has plans to share a secret of her own. But the past comes back to bite them before their truths can come to light, and fate once again tears away their chance at happiness. A tragic event brings them back into each other’s lives. Are they finally destined to be together? Or does fate have different plans for them once again? Alyssa Sommers’ dreams came crashing down when she was a senior in high school after a tragic accident leaves her broken and scarred. She seeks comfort in all of the wrong men. But, starting law school revives her hope. She needs to move on. She needs to bury her scars. After a devastating breakup with his first love, small-town boy Evan Martin strikes out to pursue his goal of studying law at New York University. He plans to put his past behind him and build a future with no messy ties. The last thing he wants is a new relationship. Then Lila Carls walks into his life, steals his heart, and turns his world upside down. Their relationship comes with a precarious complication, because Lila is already in love with someone else. Though Evan knows she’s only borrowing his love, he takes the risk, until the inevitable happens and his heart is broken once again. Despite his determination to move on, a chance encounter with Lila—who is now married—gets out of hand and drastically realigns his priorities. When a call leads him back to Tatum Kelley, a girl he’s known all his life, he suddenly sees her in a whole new light. Will she heal his heart and lead him to the happy future he craves?